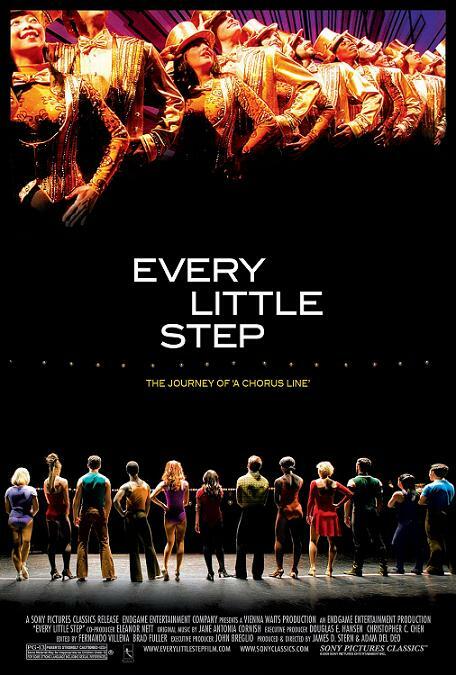 Here’s the Dirt…"Every Little Step"
on the casting of the revival of “A Chorus Line”. The movie begins with over 3000 hopefuls trying out for a chance to be “on the line”. I loved following the journey these talented performers go through trying to fulfill their dreams of being on Broadway. Their struggles and triumphs will melt your heart. Two years ago, when in New York, I decided seeing the revival of “A Chorus Line” would be a very “New Yorky” kind of thing to do. I had my seats on the 5th row. The show started…and I was mesmerized. I had chills! The talent was amazing.